* Powder coated steel frame and legs for durability and rust resistance. * Shatter-resistant, Plexiglas face gives maximum diffusion of light with minimum glare and no hot spots. * Same Exceptional quality Porta-Trace customers have known for decades. * Heavy duty foot rest for comfort or storage. 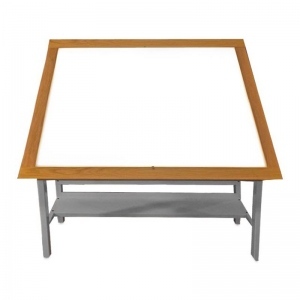 * Brightest LED light table on the market. * Adjustable tlit (0 thru 40 degree). * Components are CE and RoHS. * Eco-driendly, energu efficient, Green LED technology. * No mercury filled tubes.